If you hear chirping noises coming through the vent or quick footed steps above you in the attic, then you’re probably hosting an unexpected wildlife guest! Wildlife in the city has become an increasingly common issue to experience and the numbers keep getting higher. People from their homes, to business offices, to industrial sites have been experiencing wildlife getting onto their property. Some wildlife species are fearing humans less and less and are taking more courageous strides, becoming riskier by inhabiting populated areas. One of the factors that contribute to this is the continuous destruction to wildlife habitats through deforestation. When this occurs, wildlife have no choice but to relocate to another place that best meets their basic needs. A city environment, or a neighborhood provides wildlife with shelter and food. When they manage to find their way in through holes in the roof or cracks in the wall, they can make themselves a comfortable living arrangement. The problem is, people don’t want to live with a raccoon in their attic or a bird in their vents but unfortunately, this is sometimes the case. In the event where wildlife has gotten onto your property, it is always best to call for a professional. Wildlife needs to be handled with care and compassion when conducting animal removal process. Their wellbeing and the wellbeing of their young need to be considered before taking any action. Methods conducted by licensed technicians will be far safer for the home-owner/business-owner as well as the animal. The technicians from a company like SOS Wildlife Control will have the knowledge required to ensure that processes are humane and that there is minimal risk involved as possible. 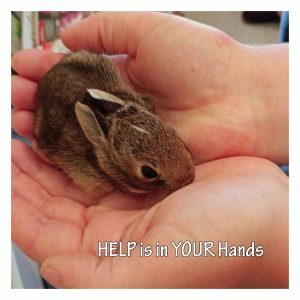 If you happen to encounter an orphaned or injured animal, call for a professional service like Procyon Wildlife to help. Their knowledge, experience and compassion for wildlife makes them an ideal choice for assistance with animal rescue, rehabilitation and medical aid. Funded solely through donations, their effort and passion to help animals is clear and we should all be making an effort to our part in ensuring the proper treatment of animals!